It’s been crunch time here over the last week as we get into the last two weeks before the opening of the exhibition at the RMSP gallery. While a more sensible person would have outsourced the printing and framing of their work for an exhibition I wanted to do all of it myself so that I would have at least had the experience of doing it at least once. As it turned out I quite enjoyed the process, although it was indeed work. 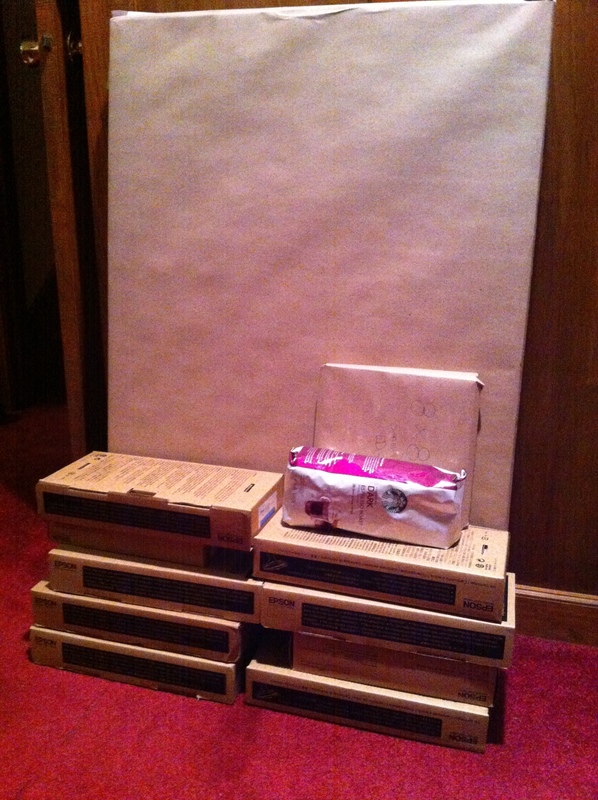 Frames and mats came from American Frame. 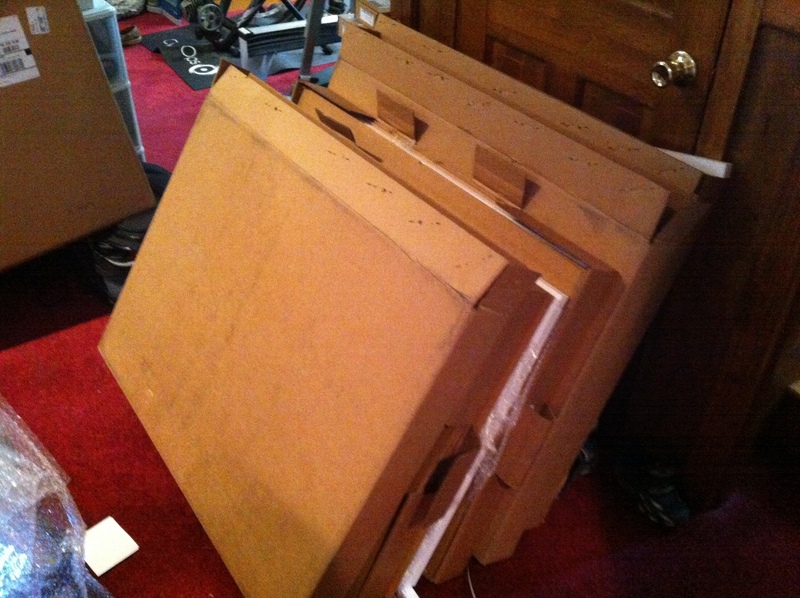 The UPS driver that comes to our house is now used to the weird and wonderful things that he has to deliver to us and so the 6 boxes of frames were no big deal. I went with glass rather than plexi and sourced that from a local glazier. I also ended up having to get a full ink set for the 7900. Fortunately EP Levine is not too far away and all too easy to visit. I had done a reasonable amount of printing on the 7900 with cut sheets but this was the first time that I had used roll paper in a serious way. For this exhibition I used Breathing Color’s Optica One that I stock piled when it was on sale earlier in the year. 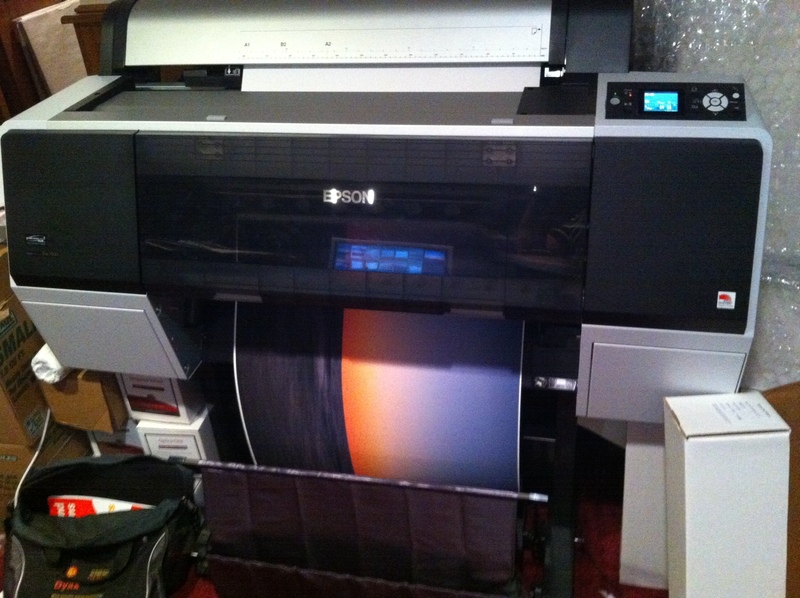 It’s a heavier paper and has a more neutral color than Epson Ultrasmooth that I had favored up to this point. 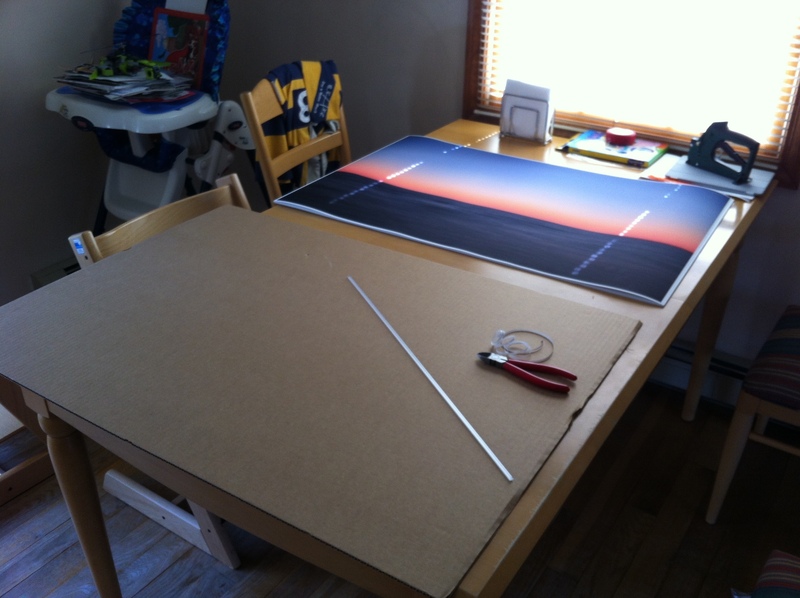 I don’t have a big layout table where I do the printing and so ended up co-opting the dining table for the framing work. I was quite pleased with how the framed prints came out. 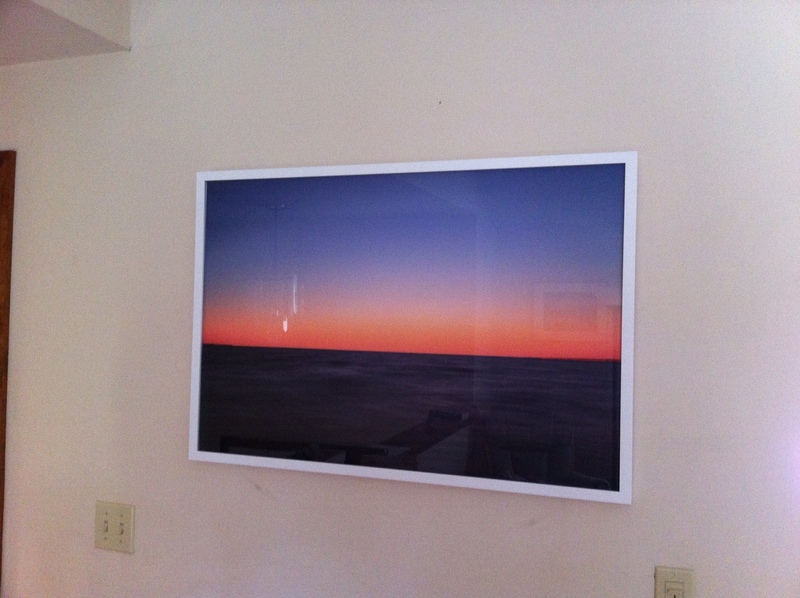 I’m looking forward to having a couple of these on the walls here. 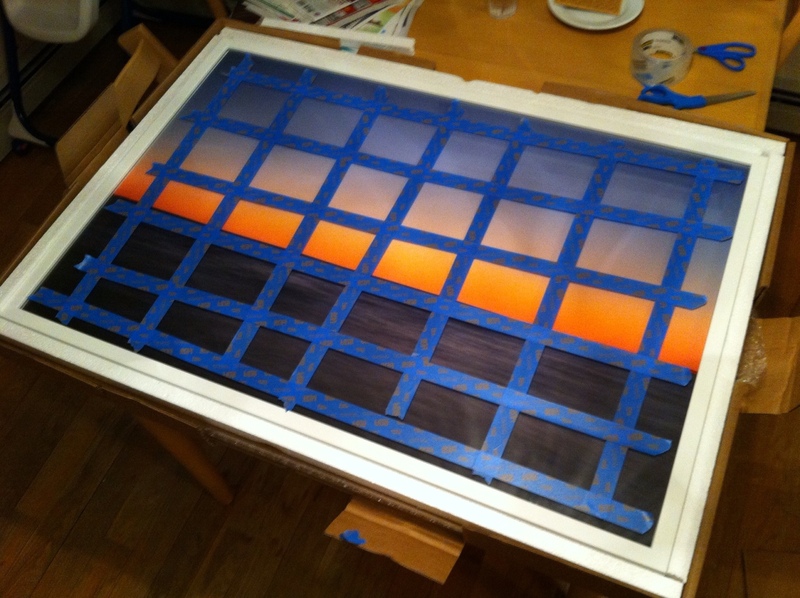 I used the same packaging that the frames came in to ship the framed images off to RMSP, although I did use blue painters tape to help reinforce the glass and hopefully hold the pieces together if it breaks. I don’t even want to think about that! I’ll be posting more about the exhibition in the coming weeks. If you’re going to be in Missoula over the summer please do stop by and check out the exhibit. I’d be interested in your feedback.